These statements were made moments ago by Government appointed Commissioner, Vincent Alexander as he sought to justify the letter written by GECOM Chairman, Justice Retired James Patterson to President, David Granger earlier today. In his missive, the Chairman said that the earliest possible time for holding General and Regional Elections is late November 2019. At a press conference held today at the Office of the Leader of the Opposition; PPP Commissioners, Bibi Shaddick, Robeson Benn, and Sase Gunraj said they were not consulted on this letter. As such, they accused the GECOM Chairman of running the entity like his personal courthouse. 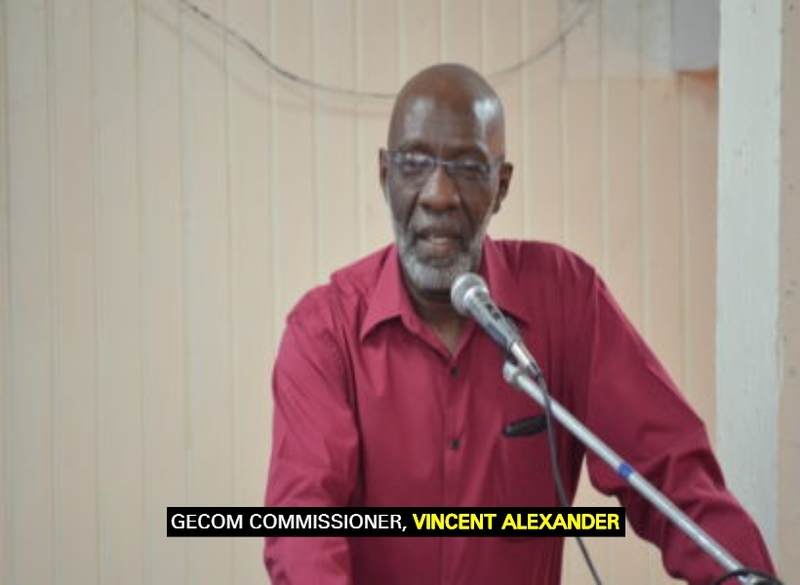 Alexander said that the Chairman, having consulted with the GECOM Secretariat, ascertained what is workable and based on that, wrote the President. “So they can no longer hold him or GECOM at ransom,” said the Commissioner.